Last November I went backpacking together with my mom and my little sister and a group called Travel Factor Philippines to northern Thailand. If you are considering a short one week trip to Thailand just to get to know the culture and the gist of the place then this is the tour for you. I loved this tour most of all because I was able to learn just a little bit of Thai in one week of staying there and also because I was able to immerse together with the Thai people and its culture. We went to Thailand because I wanted to experience the Loy Krathong festival in Chiang Mai thailand. This was one of the best decisions of my life. We arrived in Bangkok Late at night because we took the latest flight there. We then stayed at the Lamphu house overnight at Bangkok. When we woke up. We were amazed to wake up to a beautiful view of the temples outside our window. Even if Bangkok bed and breakfast places are cheap. They are not low class. This is a great place to stay for short trips and an overnight. That day we went to ride a bus to Sukhothai. It was a pretty long bus ride but by the time we got there we wanted to see more of Thailand! We were lucky enough to arrive on the day of the festivities. We went to the Sukhothai world heritage park for their festival where we floated our own prayers down the river. The hotel also gave us free floats, they were very nice to do so. We stayed at a resort called The Pai Thai house. We also tried a lot of their food here and more strange but delicious vegetables and salads. I immediately fell in love with Thailand after this night. 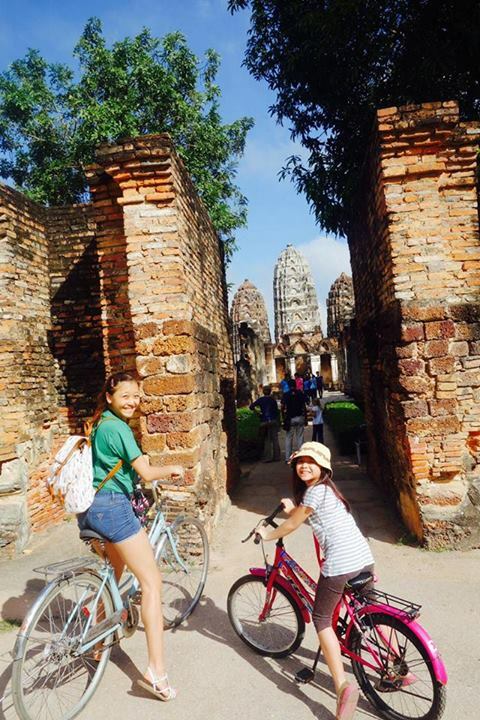 The following day we were able to bike around the Sukhothai World heritage park. If you should go to Thailand Sukhothai would be a great place to do biking tours. I would think that you should try it here if you love biking. My mom and I were also talking about how we would love to do one of the mountain tours too around Sukhothai which would be saved for the next time we return here. We took another 5 hour bus ride today and we headed to Chiang Mai! Just in time for the Loy Krathong festival. 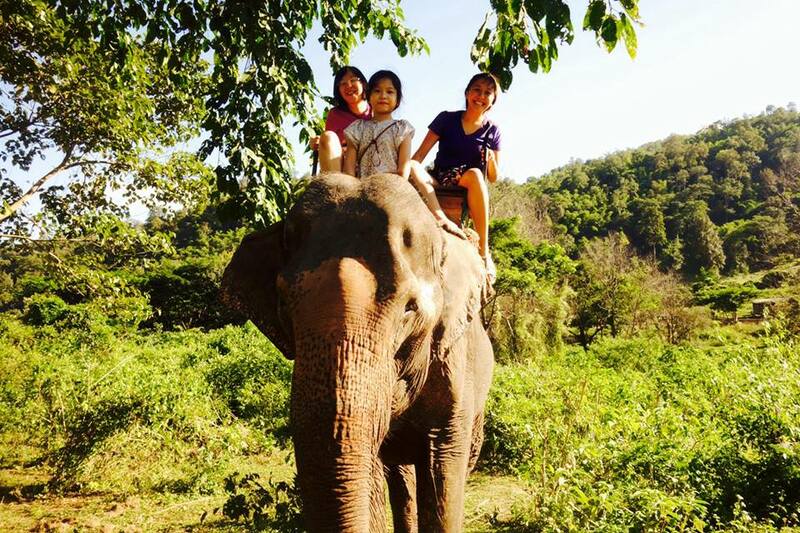 The next day, we went white water rafting, bamboo rafting and then we went to visit the Elephants! I wish that we had stayed longer in the area because we saw so many elephants and we wanted to pet them some more. My sister especially loved them being an animal lover. We also went to the long neck tribe that day to visit the tribes with the women who wear rings around their necks as tradition. OUCH. So then we spent the rest of our four days here at Chiang Mai. Chiang Mai actually is more of a city. So if you do enjoy shopping and bargaining. Chiang Mai is the place for you. I’m more of a home girl type of person who just loves to dance so I think that I could live with just eating and experiencing. However the Sunday Market is something that you should not miss here. My first time to thailand and I had a great time! Most especially during the Loy Krathong festival. Although next time I think that I would have liked to have experienced releasing the lanterns all at the same time. 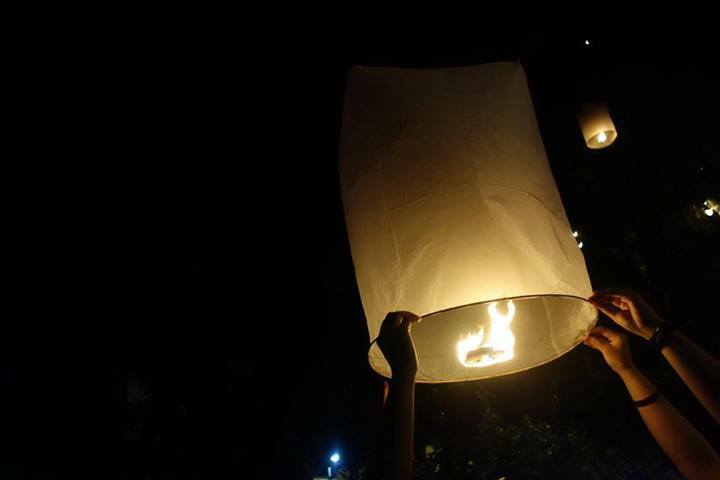 I would suggest that if you would join the Loy Krathong festival at the university. This is where you leave early for a group releasing of lanterns instead of going to the footbridge where everyone was headed because it was so crowded that it took us so long to get around. It was also very dangerous because lanterns were hitting light posts and wires! By the time we got home my sister and I were very tired too and everyone was exhausted. 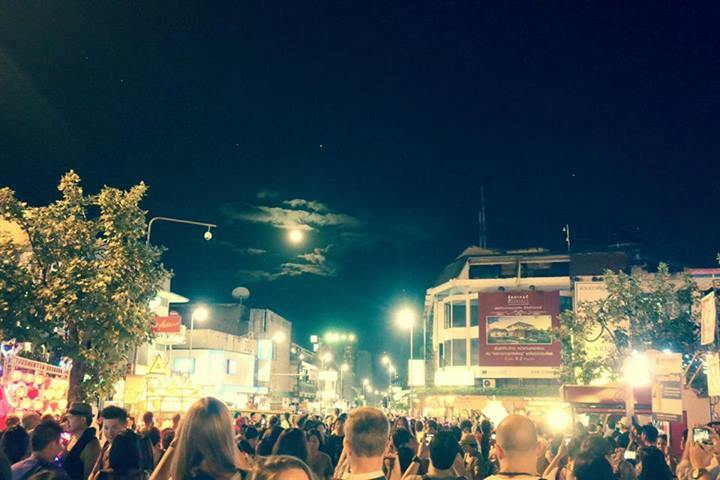 This was the full moon during the day of the festival at Chiang Mai. Something new every year! Chiang Mai is a great place to go to if you seek adventure and immersion with different Thai people.